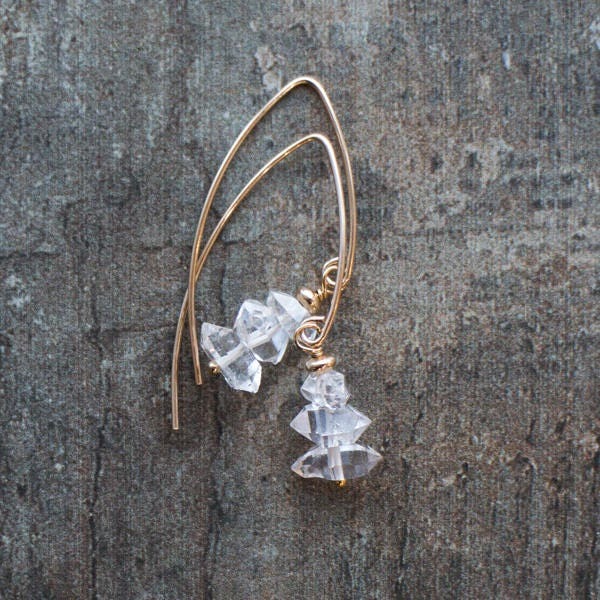 These unique earrings feature lovely Herkimer Diamonds with sparkle to rival real ones. 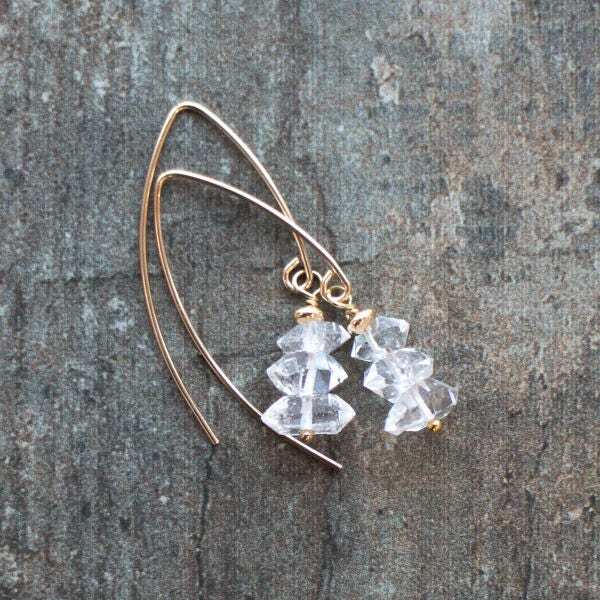 Three of them have been stacked together slightly graduating in size and topped with a 14K Gold Fill saucer bead, suspending from elongated V shape 14K Gold Fill ear wires. 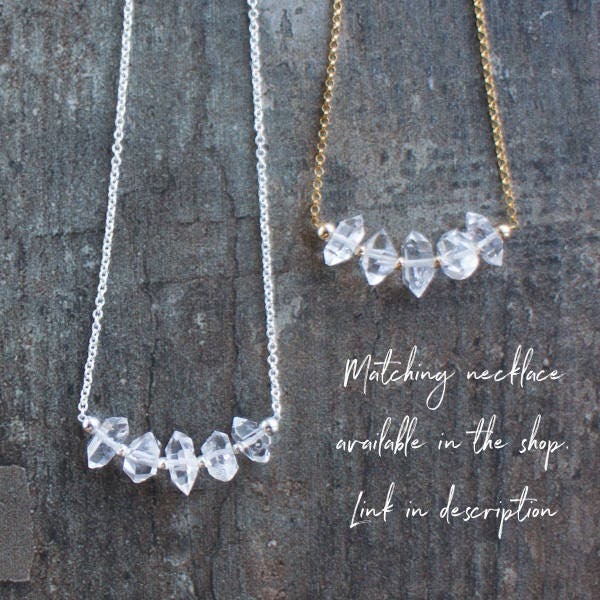 Also available in Silver! 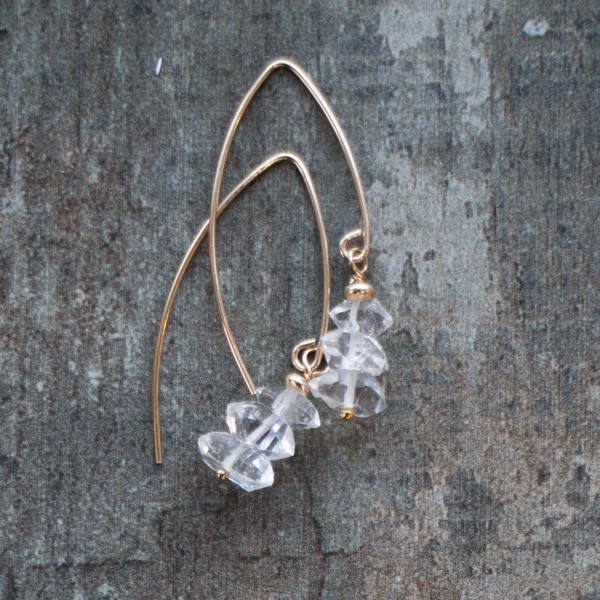 •Unique, natural, sparkling dangles! Perfect gift for April Birthdays! 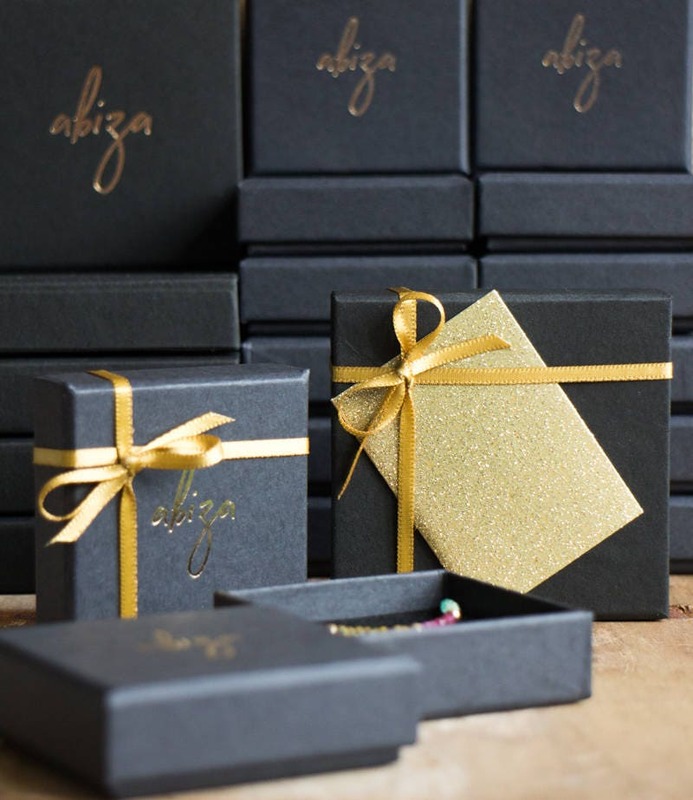 They come with a crystal information card, in a beautiful Abiza gift box. 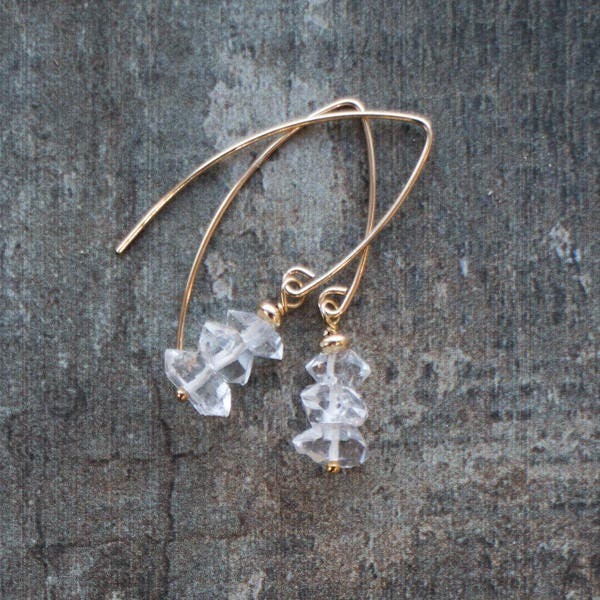 •Herkimer Diamonds are double-terminated quartz crystals first found in Herkimer, New York. Incredibly, they are close to five hundred million years old. Magnificent works of nature, found in the rock, having a diamond-like geometrical shape. 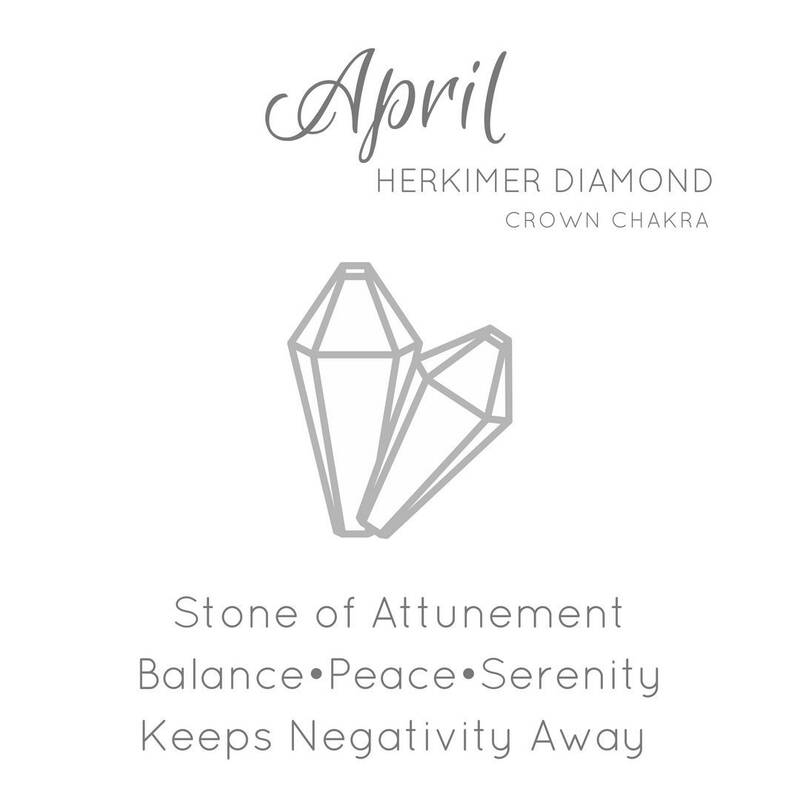 Thus the name of “Herkimer Diamonds”. 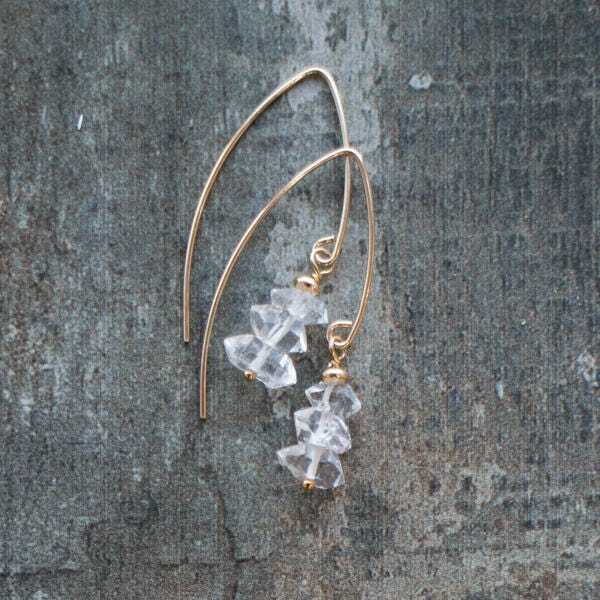 •Earrings measure 39-40mm/ approx 1½" from top to bottom. Please see the 4th image for the scale. 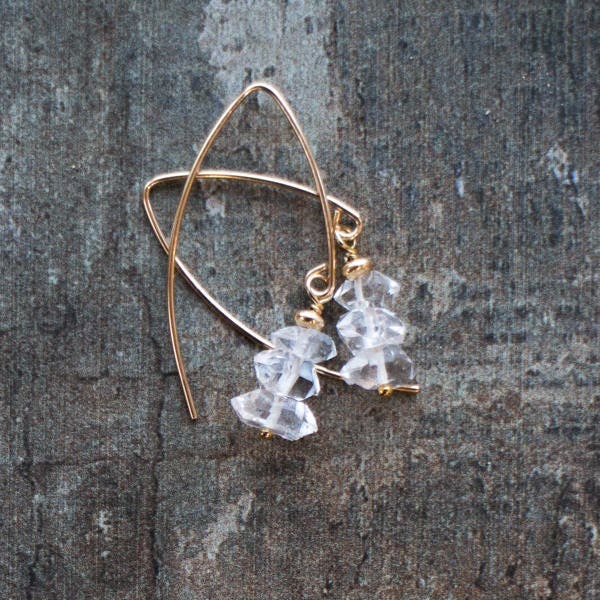 •Herkimer sizes vary between 6-10mm. These are not cut, raw stones in their natural mined shape. They'll be hand-matched to the size but no two will be exactly the same. 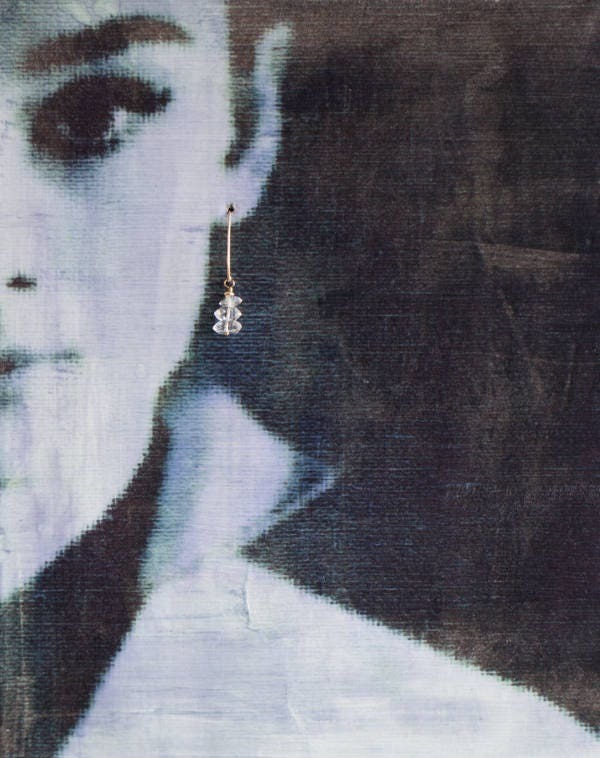 Beautiful earrings!! Love them! Fast shipping! Awesome artist! Gorgeous! Exactly as pictured, and I appreciate the seller's kind communication. Beautiful, beautiful stones and craftsmanship. So delicate and lovely.